We are grateful to walk in the great rejuvenation of the Chinese nation, the prosperity of the country, and go just let enterprise personal dreams and dream possible. 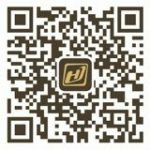 We are grateful to every Jiahua partners, you join and adhere to the progress and improvement of jiahua. We are grateful for all the way to witness the growth of our partners.